I am working on a documentary about the Second World War for a major British broadcaster. I have found this website to be an invaluable source of information, and it is wonderful to see so many people posting their families wartime memories in the guestbook. We are trying to build a picture of what life was like for the people serving on these ships, at the heart of some of the war's most challenging campaigns. It would therefore be brilliant to speak to anyone who has memories of their time on these ships, or people whose parents/grandparents might have served on them. I look forward to hearing from members who may be able to help with this, via the webmaster Michael. My Grandfather, Frederick John Charles Prowse, was a Leading Stoker (according to the War Memorial on Plymouth Hoe), but my mother always said he was a PO Stoker. See photo below of him in uniform taken in Malta. I have been researching anything on the Courageous for many years, and have tons of info, photos and personal items which belonged to my Grandmother then handed down to my mother and now to me. One thing I would like to ask is will The Admiralty be commemorating its sinking in 2019? I have asked and sent messages by email or letter to various organisations, but never get a reply. So I guess this will not be happening. Very sad, as this (as far as I am aware) was the first RN casualty of WWII. Is there any information about a Thomas Giddey (maybe Giddy) who my mother in law knew? At the time she lived in Plymouth now Australia. She is about to turn 100. My Uncle was on the Courageous when it sank in 1939. His name was Ivor Sheldon and he was from Plymouth where I was also born. I now live in Australia and would like more information on him please. I know his name is on the war Memorial on Plymouth Hoe. Could you please give me more information? Where would he have been on board at the time etc. He was an Able Seaman I think. Very interested in knowing more if possible. My Mother's name was Rosina Sheldon. My stepfather, Don Matthews (Matthews, D H, Naval Airman, D/JX 136235) survived the sinking of Courageous and am trying to find out more about him and his squadron 822 NAS. I believe he was one of a very few survivors from the squadron, any help would be appreciated. 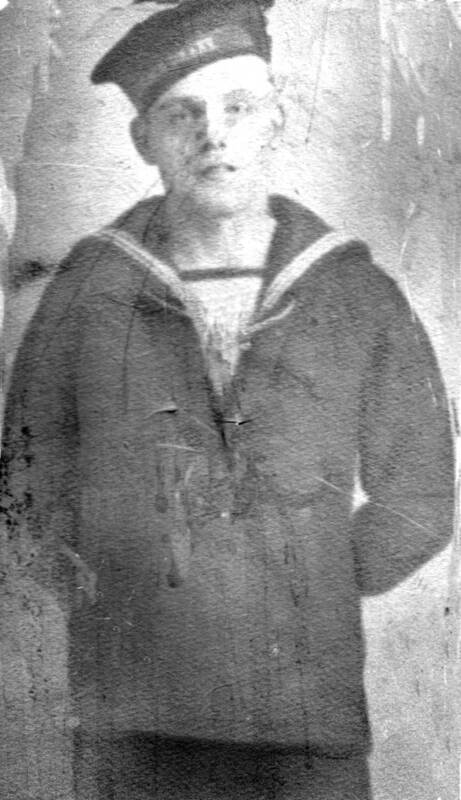 My reason for my search was to hopefully gain more info and even photographs of my great grandfather Able Seaman Frederick George Nile who was one of the unfortunates to be lost on board HMS Courageous when she was sunk in September 1939. He was in his 50's and had already served in the Navy during WWI. Unfortunately all I have his name and the ship he was on as both my grandparents have passed and am not in contact with any of their relatives. Any information would be very helpful and would please my mum to see what her grandad looked like as she wasn't born until 1957. My father, Roland Royston Hendey, told us that he was with the Fleet Air Arm on HMS Courageous when she went down. Fortunately for us he was a survivor, but he never said which ship brought him home. Would your records show this please? He was lookout in a tower, in Portsmouth, when a bomb hit it, leaving him alive but the noise shattered an ear drum, he, must have had a guardian Angel through that period, thankfully, because he was a wonderful ‘Dad'. Would he have had a survivors Medal from being on the Courageous. Any further information would be most welcome, thank you. In later years he was chosen to be the successful ‘trainer' for the Portsmouth Team [Portsmouth v Plymouth, 1947], at the Royal Tattoo. Sadly he passed away 15th December, 1990. I was wondering if anyone has any photos or information on an Able Seaman Joseph John Coates who died on the 17th Sept. on board the Courageous, he would have been my great uncle. I am enquiring for my mum, Joe was her uncle and over the years has often talked about him. He was her mums only brother, my mum is approaching her 80th birthday and I would love to give her some news on him or a photo. Joe was from Hull, but I think he was born in Ipswich. He was 39 yrs. old when he died. He never married, but my mum says he was engaged to a girl named Freda who she thinks was Austrian. Any info would be wonderful. Is their any one out their ho new a uncle of mine Edgar Goseph Watkins aged 18 went down on Courageous his body was never found it would be nice to hear some thing about him as he drowned before I was born. My great Uncle John Robert (known as Jack) Ryder was a stoker first class? 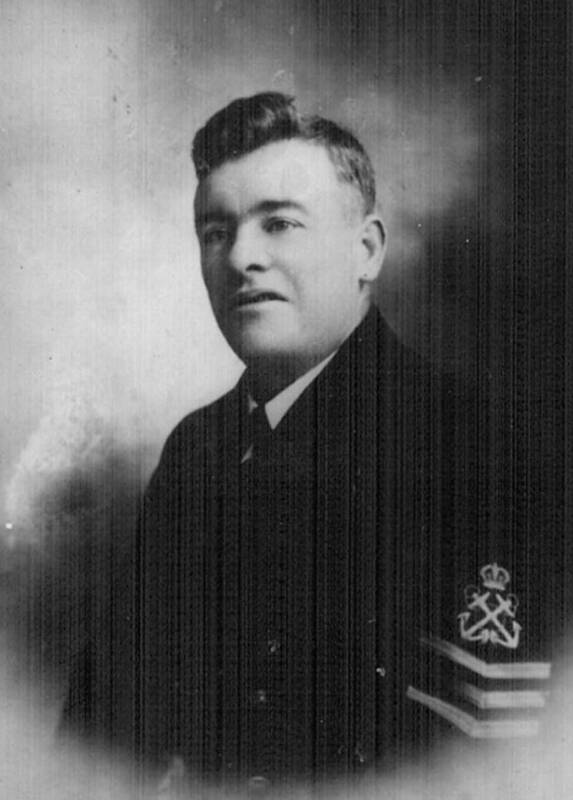 He was in his 40's when he died - and had no family of his own, but had joined the navy in the hope that his nephews would stand a better chance of getting in as well. His name is on the Naval memorial in Plymouth. My gran (his sister) used to take me to see it as a child. He had supported her a lot as her husband had died in a farming accident leaving her with four children. Her three sons all served in the army during WWII. Does anyone remember or have a picture of him? My grandfather, Frank Makings, was lost on HMS Courageous. He was a Marine in the RNR doing his annual call up when war was declared. He probably was one of the oldest crew members. Having swam the Channel twice he was a good swimmer, so I can only assume he was either killed or injured when the torpedoes struck. He left a wife and five children, my mother being the youngest; I understand she was born after he sailed, so they never saw each other. My grandmother was never convinced he had died, and spent the rest of her life with serious mental problems. Because he was RNR she struggled well into the 1950's to get a war widows pension, which she had repeatedly been denied. Can anyone shed any light at all on my grandfather as a crew mate? He had service during WWI, some of it on HMS Lion (post Jutland). I am looking for information about a family member. Is Hugh Walter-Wilkinson listed as being an officer on the Courageous? Would you have a photo? Any help will be appreciated. I have recently discovered that my Great Uncle John Henry Purnell (Steward) went down with his ship HMS Courageous (50) and am interested to know more about him, including any photos anyone may have of him. I also believe he had a brother on board who survived. I don't show a Purnell as being a survivor from Courageous. Reading accounts of men of HMS Courageous I thought I should include the name of William (Bill Woodword). I don't know his rating, but Bill survived and went on to serve all through the war but told me he never again served in a large ship. He went on to serve well on MTBs MGBs and the like in the Med, running supplies to Eighth Army bases where so ever needed. Surviving the sinking of HMS Courageous he told me how they struggled to get up from the lower decks, the ladders having been blown away and had to use lengths of rope etc to help each other. I knew Bill who for years was secretary of the Bolton Branch RNA and served us well. Now sadly crossed the bar his funeral was well attended. Searching for information on John Gregory (19) who was a Telegraphist on HMS Courageous he died when the ship was sunk in September 1939 he was a Royal Navy Reserve I think, the information is for my mum who is now in he 80s and nobody seems to have information or photos of him. Her name is Irene Coy nee Richmond. There was a John Gregory (P/WRX 408) RNVR (Wireless) lost in Courageous. I don't have any further information on him. I have just discovered your site when I was looking for information about H.M.S Courageous and in particular my uncle James Cooper, he was a stoker first class and went down with the ship, along with his friend from Southbank Tony Escritt, I was over the moon to see that someone had already been on the site and the fact that you had found the local newspaper article about them (message #24), I have the original picture (see below) that was in the paper as my father Ralph Cooper was Jim's younger brother. Family stories have it that my great uncle William (Bill) Blackman was serving on board Courageous when she went down. I cannot confirm this but I am told he was a gunner and as he survived the war we believe he must have been picked up. I have a small brass plaque “HMS Courageous” together with his war medals, cap and shoulder epaulettes. I was hoping you may be able to confirm if he was in fact on board when she was torpedoed? I show a Marine, W. E. Blackman, PLY/E 21659 as surviving the loss of Courageous. Being a Marine he would have been a gunner, so I think this confirms the fact for you. I'm looking for a flying officer V. L. Oury who was officer in command at Aircrew Recovery 3 B.R.U. B.A.F.O. RAF in May 1946, serving in Belgium at that time performing post-war recovery of crashed airplanes. I wonder if that would be him on that photograph (3rd photo on page 1). Do you have any additional information, or could you bring me in contact with Mitchell Knox, son of F/O Karl Stubley R.A.F. who passed on these photographs from his father's collection? Any idea if the name V. L. was on these pictures, it could increase probability. My grandad Albert Lucas was one of the survivors of the sinking, he's no longer with us and I would like to know more info on what happened that day. From what I know my grandad was in the control tower up until about ten minutes before it got torpedoed, there was a change over and the men who then went in there were hit and killed. I would like to find out who these men were. Any help would be grateful.